"Some Graces", collage/archival pigment print, 40 x 21 in. "Undercurrent", collage/archival pigment print, 40 x 21 in. "Construction", collage/serigraph, 13 x 13 in. 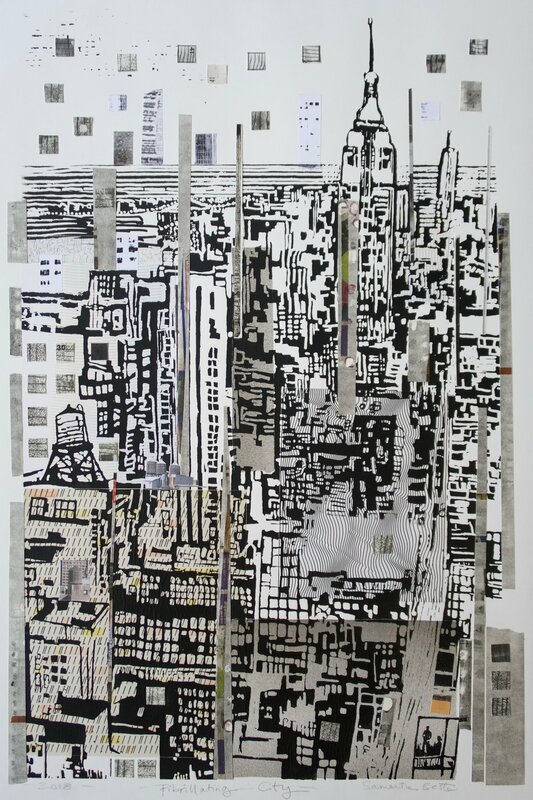 "Fibrillating City", collage/serigraph, 22 x 33 in. 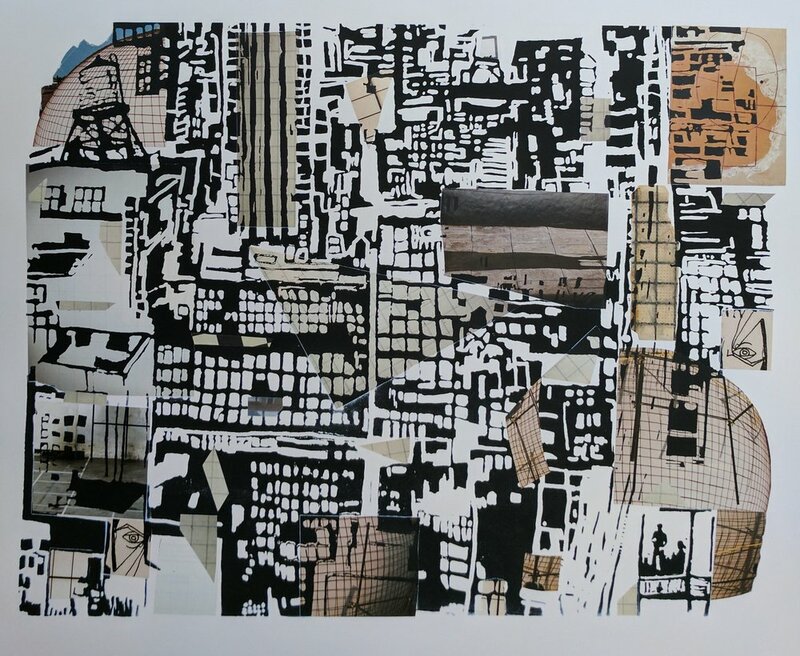 "Corrugated City", collage/serigraph, 31 x 25 in. 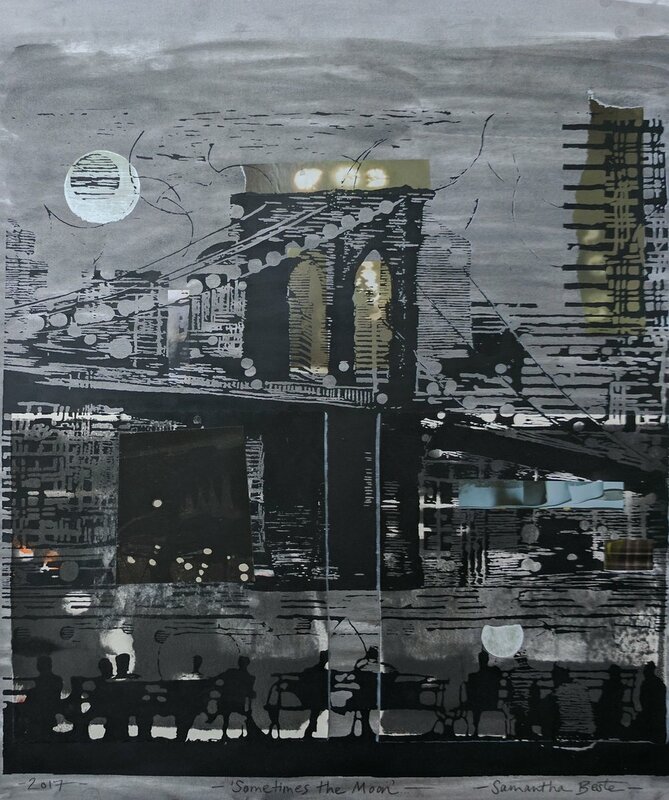 "Subway Disconnect", collage/monotype, 13 x 13 in. 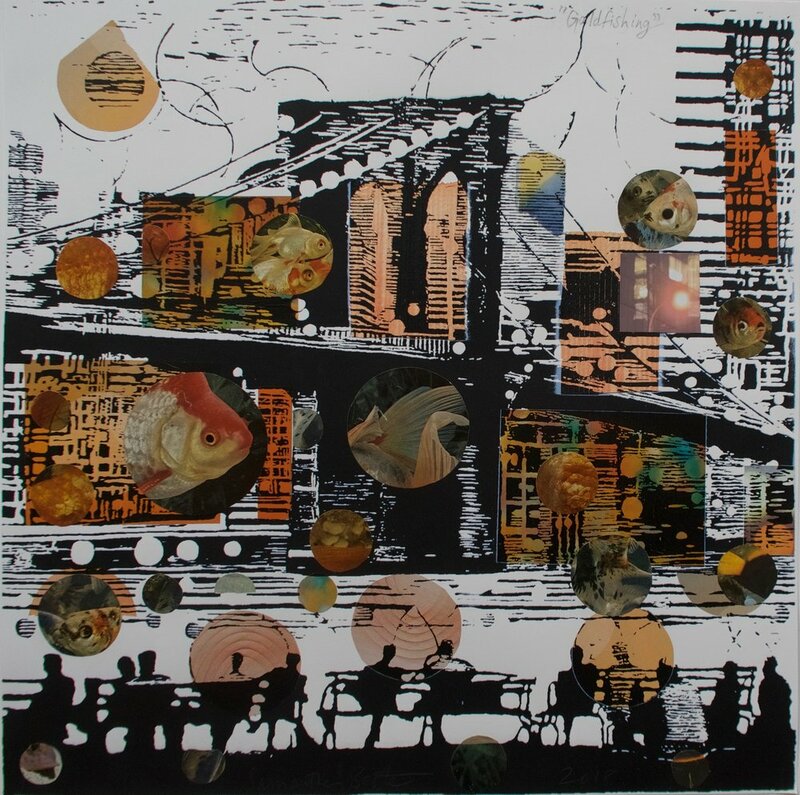 "Goldfishing", collage/serigraph, 22 x 22 in. "Labyrinth", collage/monotype/serigraph, 33 x 27 in. "Green Pedestrians", collage/archival pigment print/acrylic, 11 x 14 in. "Green Watertower", collage/archival pigment print/acrylic, 11 x14 in. "Through a Bottle Darkly II", collage/archival pigment print/acrylic, 11 x 14 in. "Through a Bottle Darkly I", collage/archival pigment print/acrylic, 11 x 14 in. "Puzzled People (Chrysler)",aquatint with collage, 20"x 10"
"Puzzled People (Fire Escape)", aquatint with collage, 20"x 10"
"Sometimes the Moon", serigraph/collage, 20"x 26"
"Checks and Balances", serigraph/collage, 28"x 22"
"Eye to Eye to Eye", serigraph/collage, 28"x 22"
"Certain Worlds", serigraph/collage, 28"x 22"